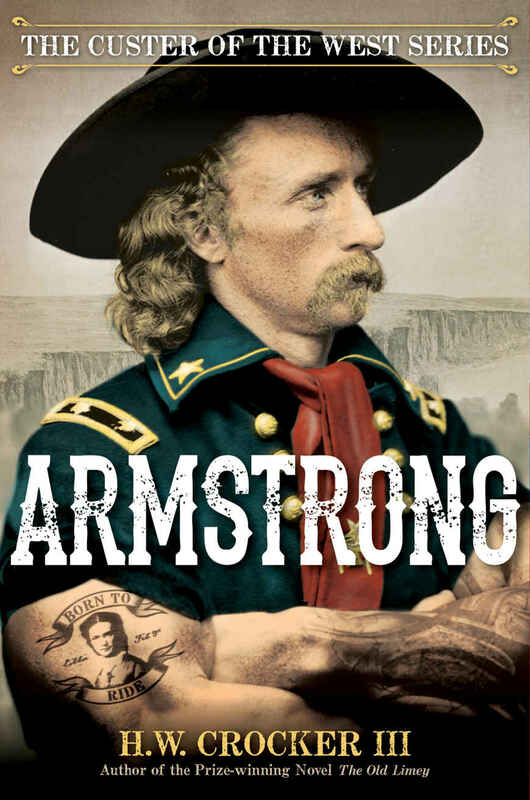 Custer Died at the Little Big Horn: But What if Armstrong Had Survived? General Custer died at the Little Big Horn. But what if he had survived? What would he have done next? One of the top book editors in America today H.W. Crocker III, of Regnery Press, asked himself a simple question; What if they didn’t die with their boots on? In 1941 the famed director Raoul Walsh made a movie with the title “They Died With Their Boots ON” starring Earl Flynn, as George Armstrong Custer and Olivia de Havilland as his wife Libbie. Those days of cinema arts, depicting real events in American history, Flynn played the famous military officer George Armstrong Custer as an American hero. The movie captured segments of his life from his days as a West Point Cadet to his proven valor in the Civil War, to his death at the Battle of Little Big Horn. Author Crocker takes the greatest battle in our historical Calvary vs. Indians frontier engagements and in a rollicking work of fiction. Armstrong, simply says wait a minute: what if George Armstrong Custer survived the battle— then what? What if books are always intriguing as they can take an historical character and play out alternative futures or options for that larger than life but real historical person. Of course the battle was lost both tactically and strategy even as valiant as the actor Earl Flynn could play the part. As time has moved forward many other actors and directors have portrayed Custer as a not so dashing hero in revisionist history. The art of the writing in Armstrong is to simply picture the real world of 19thCentury Montana with the real world legendary panache of Earl Flynn. With that mental image in mind, the character created in the book. “Armstrong” comes alive in the pages of the book. This is not a spoiler alert to say that after meeting “”Scalp-Not-My Woman” but call me Rachel who had been taken by Bearstalker, the adventure is on. Custer had to disguise both his name and appearance after awakening alive from the massacre of his troupe from the famous 7thCalvary. The book opens with a clever bit of writing that grabs the imagination and sets that stage for what follows in an introductory letter to his dear wife Libbie. Thus begins this first book’s journey, with hopefully more adventures to follow. “Armstrong” is Custer’s not so hidden name and as they used to say in the olden days is a stalwart hero on the lam. He keeps his sense of humor out of necessity while teaming up with scoundrels, villains and extremely interesting frontier woman. All the characters are simply trying to not only survive but make sense of 19th Century Western life. Armstrong has a smart and keen eye describing how he must follow the West Point motto of Duty Honor and Country surrounded by good and evil while ordering milk to drink. As Custer tries to explain himself out of one of many jams he finds himself in on his errant knights quest after taking a badge as an ersatz “Marshall” Armstrong, he does accurately point out he was the youngest General in the Union Army and did demonstrate true military valor. It does make one think that George Armstrong Custer was a very good man in command during a horrific battlefield defeat. Perhaps Director Walsh, and Custer as played by Flynn with the darling Libbie played by Olivia De Havilland created a perfect movie as America entered WWII. Armstrong is a book for these days in America. Now, Armstrong is a book for these days in America. It is a good read with a wonderful premise that captures our great American sense of humor.